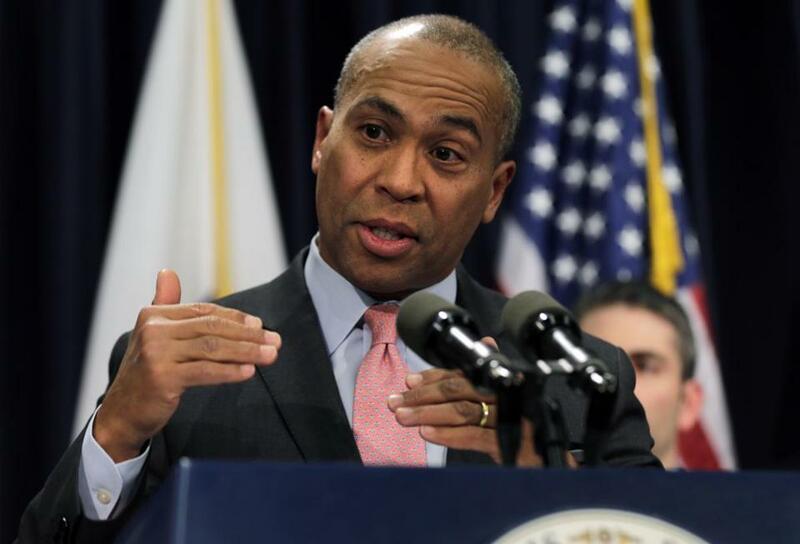 Governor Deval Patrick cracked the door on Sunday to a potential White House run after the 2016 election, using a governors’ conference in Washington, D.C., to stir national buzz. “That’s a decision I have to make along with my wife of 30 years and she’s a tough one to convince,” Patrick told the publication. He dangled the notion of returning to government after “a break” once his second term ends early next year. Diane Patrick, a lawyer, has been a sometimes reluctant partner in her husband’s public life. Criticism directed at Patrick early in his term contributed to a period of depression for which his wife received treatment. Patrick has told associates he wants to return to the private sector, where he enjoyed a lucrative career as a corporate attorney before winning the governorship in 2006. But he previously signaled intentions to remain active on the national political scene. Last year, Patrick hired his first campaign manager, John Walsh, former chairman of the state Democratic Party, to run his political action committee, Together PAC, with an eye on supporting like-minded candidates across the country. The nod toward his political future comes during a troubled time in Patrick’s tenure, as the administration grapples with an embattled Department of Children and Families and a bungled health insurance website. Patrick and state executives are in Washington for the National Governors Association winter meeting. But Patrick and his wife have been accorded Beltway courtesies not extended to other governors, as repeat guests of President Obama on private social occasions at the White House. Patrick also delivered one of the better-received speeches at the 2012 Democratic National Convention, an energetic exhortation to Democrats to defend the president’s record more aggressively. But Patrick has crossed Democratic royalty, too, endorsing Obama over Hillary Rodham Clinton during the 2008 presidential campaign despite having worked in the Justice Department under President Clinton. Patrick is the third Bay State political figure to have repeatedly ruled out a 2016 bid. Mitt Romney, former governor and the 2012 Republican presidential nominee, and Senator Elizabeth Warren, a Democrat, have also said they will not run.